Choices. They can make or break a successful trail race. Who knew the inaugural 6-mile race called the Gnar Gnar would have so many choices. After several days of 90 plus August days and severely dangerous air quality due to the Canadian forest fires, I woke to cold and drizzle similar to March day in the Northwest. Choice number one, what do I wear? I decided not to dig through my drawers for winter clothes and went with short sleeves and shorts. Once I get running, I’ll be warm, but waiting at the starting line is going to be miserable. 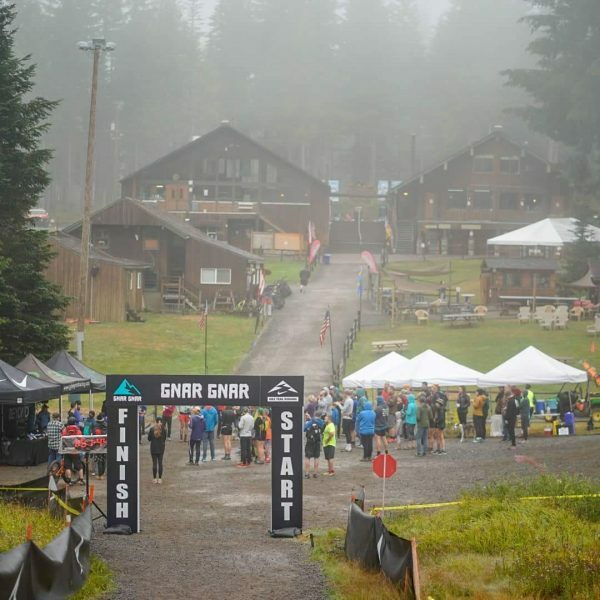 The Gnar Gnar is a trail race put on by Go Beyond Racing that starts at the foot of Skibowl next to Mt. Hood in Government Camp, OR. 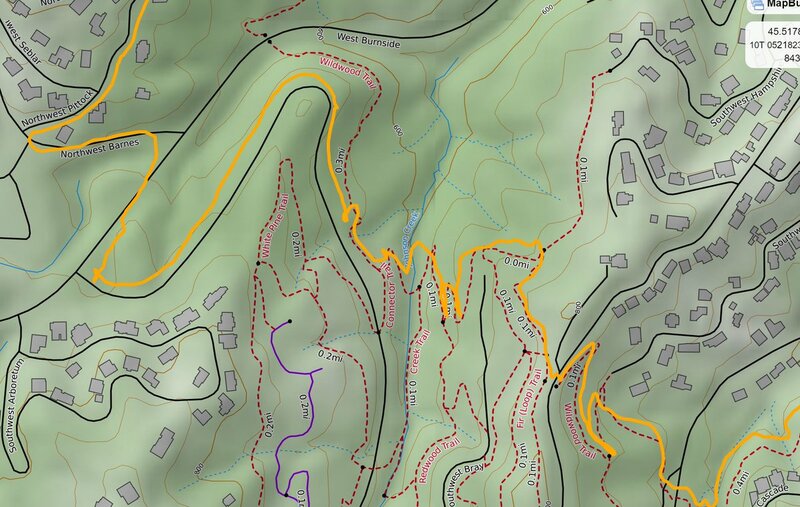 The first mile is a 500-foot climb, then a 300-foot dirt road downhill, followed by a 1.8 mile 1300 foot grind of an ascent. The last 2.5 miles are sweet descent on the title named trail to the finish. The Gnar Gnar trail is a popular mountain bike trail with banked switchbacks and a few jumps. How would it work for trail runners? Trail running is often confused with just ultra distances, so why the shorter race? 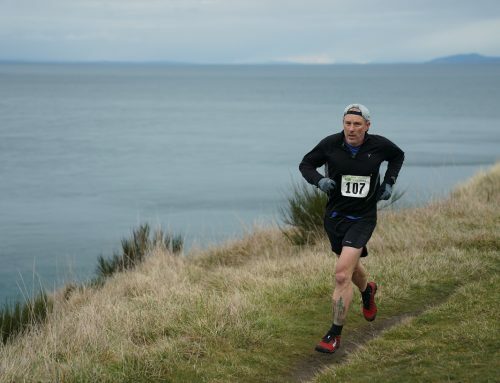 “There are not many shorter trail races around. We have our Portland Trail Series and Bend Trail Series and those are really popular, so we knew there’d be an audience of runners who would be interested in racing something with us other than an ultra” expressed Janssen. “We wanted to provide a race that was shorter, but still challenging; something that people would feel was a big effort, but didn’t take up their whole day. Mt. Hood is relatively close and convenient to get to, so that part is easy”. The fog and clouds completely covered the top of the ski lift as the racers towed the starting line. I thought this may be an advantage, so as to not really know how far and high I’ll be climbing. Choice number 2, how hard to start climbing? Normally in a six-mile race, it makes sense to start hard and find your place on the trail and not get stuck in a conga line. The trail was wide enough not to worry about that, but there was also the climbing to consider. I felt like I was going really slow, but my breathing was pretty heavy. I decided not to push it too hard. A 13-year-old girl sprinted past me. A few of us joked that we can’t let a small child beat us in the race. The hills will bury her legs and we would soon be passing her. Little did we know that this girl would be the first female finisher and place fifth overall. Once reaching the first summit, I felt pretty good. The third choice of the day would be how hard to run the downhill. This was a ski run and was more jeep road than trail. I just let gravity take me down and decided to save my legs for the climb coming up. I was passed by a few runners. Was I going too slow? 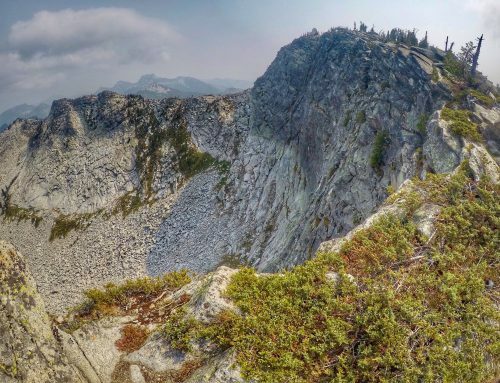 I was actually relieved to hit the trail that climbed toward the final summit. 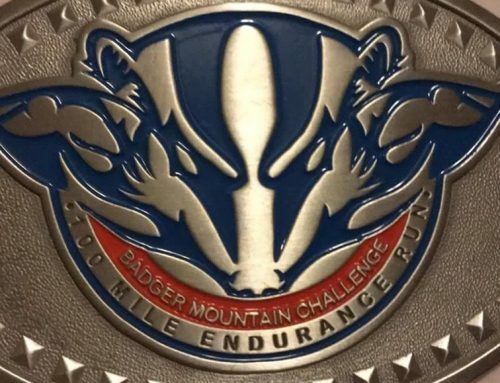 When I started trail running, I was probably the worst climber in every race I entered. So I’ve been trying to improve my climbing for a year now with several Nasties in Forest Park and other steep trails throughout the PNW. For my fourth choice, I was feeling confident and started to make a strong push on the ascent. I was really surprised at how easy it felt. 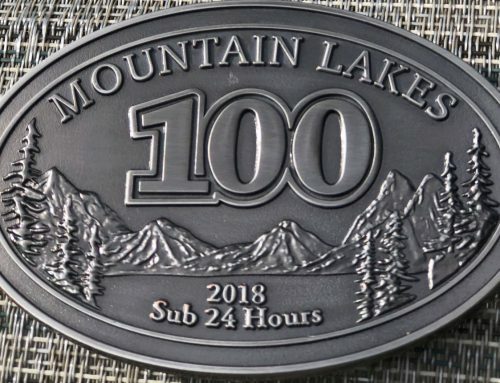 I am no longer the slowest climber in trail racing! I passed runner after runner until I caught up with my friend Stephanie. I think it lit a spark under her because as soon as I passed her, she started running harder and we passed a few more runners until we reached the summit. Stephanie rounded the turnaround cone about 10 meters ahead of me and we both chose to skip the aid station at the top of the ski chairlift. Now was the fun part, the sweet descent of the Gnar Gnar trail. Stephanie and I immediately passed two runners, but she was cruising much faster than me. The trail had a thin layer of mud from the recent rain that made the trail even more technical. I was pushing myself over the rocks, roots and jumps, then fatigue started to set in. One of the runners I passed caught back up to me. He followed me for a quarter-mile and then I stepped aside so he could get by. Stephanie was now out of sight and I saw no one else near us. I followed this runner as best I could, but he was starting to gap me. I didn’t think anyone was going to pass me, so I thought I’d just enjoy the banks of the trail and use gravity to carry me to the finish line. I heard the cowbell of the finish and knew I was getting close. I turned around for a quick check to see if anyone was pursuing me and to my behold, Stephanie was behind me. What?? She must have taken a bathroom break or got lost. My name was announced as I crossed the finish line and Stephanie soon finished behind me. Yep, she took a wrong turn. It probably cost Stephanie from being on the podium, but she was still in good spirits. The finishers stood around the finish line talking about how fun the course was. Stephanie and I ran a cool down with Caitlin, who was the third place woman and a few spots ahead of us. Trailkeepers of Oregon is the race beneficiary. This non-profit does work to maintain and improve trails. They’ve done a lot of work in the Columbia River Gorge, after the fires of last year. “We think it is important to support these types of organizations,” noted Janssen. I’m glad I made the choice to run this race. I plan on being out again next year, and I think the other runners will to. It’s currently scheduled for August 25th, so mark it on your 2019 calendar. 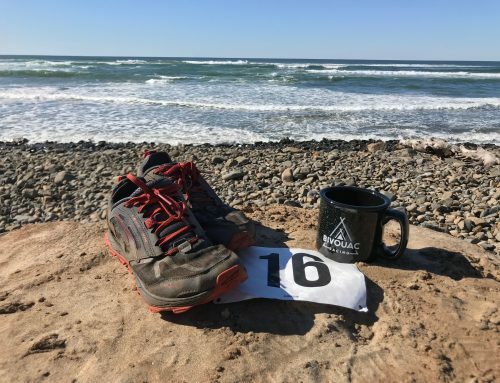 This seems like a really interesting distance to run, and reads like it forces you to consider a different running strategy than longer trail distances! Hoping to see this race come back next year!